Dr. Tigga Kingston started working with bats as part of an undergraduate-led expedition to Colombia in 1991. After a couple more summers leading expeditions in Colombia, she switched to Southeast Asia, where she have been working ever since. Dr. Kingston completed her undergraduate degree (BSc Zoology) at Royal Holloway University of London, and her PhD (Ecology, Behavior & Evolution) at Boston University (USA). Dr. Kingston’s research focuses on bat diversity and conservation in Southeast Asia. 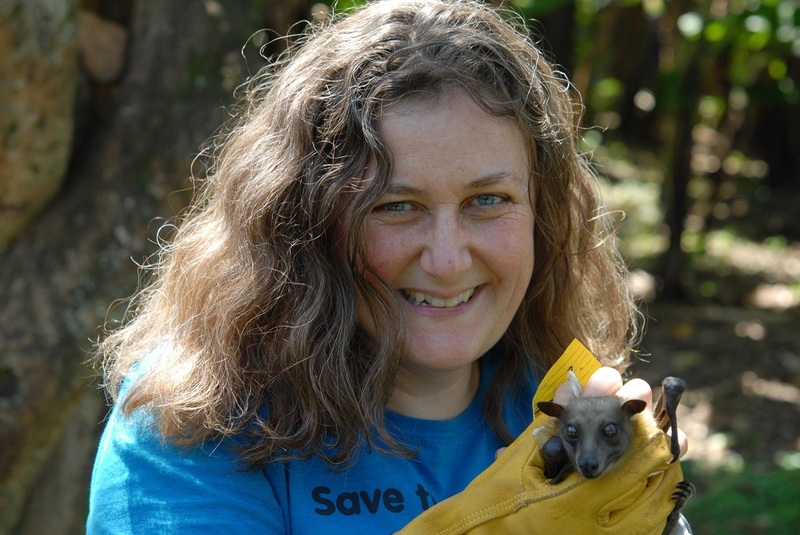 You can follow her research on Researchgate, and learn more about her SE Asian bat conservation efforts on the web site for the Southeast Asian Bat Conservation Research Unit. Dr. Rodrigo Medellin has studied the ecology and conservation of mammals in Mexico for 25 years. In 1994 he founded and today heads the Program for the Conservation of Migratory Bats, a partnership between the Institute of Ecology, Universidad Nacional Autonoma de Mexico, BIOCONCIENCIA, and EcoHealth Alliance. He has served as President of the Mexican Society of Mammalogists, Chair of the Committee for International Relations, and Chair the Latin American Fellowship Committee of the American Society of Mammalogists. He was a member of the Scientific Advisory Board of Bat Conservation International for ten years, and is a member of the Scientific Advisory Board of the Lubee Bat Conservancy, and the La Selva Biological Station of OTS in Costa Rica. Medellin was head of the Department of Biodiversity and Ecology in the Institute of Ecology of the National University of Mexico until 2006. He continues to be Professor of Ecology where he has taught conservation biology and community ecology for over 15 years at the graduate and undergraduate level and directed over 25 theses and dissertations. He also represents Mexico before the CITES (Convention on International Trade in Endangered Species of Wild Flora and Fauna) Animals Committee. In 2002 he was elected Representative of North America and also Vice Chair of the same Committee He was reelected for the same positions in 2004. He is an Adjunct Professor at Columbia University in New York and Associate Researcher at the American Museum of Natural History and the Arizona-Sonora Desert Museum. Rodrigo is currently an Associate Editor for the journals Conservation Biology, Journal of Mammalogy, ORYX, and Acta Chiropterologica. Rodrigo Medellin has produced more than 100 publications, including over 50 scientific papers in international journals, and fifteen books and book chapters on bat ecology and conservation, mammal diversity analyses and conservation of large mammals. Over 13 years of global conservation experience, working collaboratively to establish and implement strategic priorities in North America, Latin America, Africa, Asia, and Oceania. • Experienced with major donors, private and corporate foundations, state, and federal funding sources that has led to over $4.9M in fundraising for conservation impact. • 10 plus years of building and leading collaborative multi-institutional and multi-national teams to achieve sustainable conservation in culturally appropriate ways in the US and around the world. • Conservation partner experience resulting in the strategic growth of international programs from $50K in 1 country to over $400K annually in 8 country-level conservation initiatives. • PH.D. in Wildlife Ecology and Forest Ecology minor from Oregon State University. • Effective communicator with over 200 public, private, and professional speaking engagements throughout the world, positioning organizations as collaborative leaders of conservation. Sergio Solari works as an Assistant Professor at Universidad de Antioquia, Colombia. He is a mammalogist with broad interests on Neotropical small mammals, including (of course) bats. As an undergrad student (in Peru), he began to study bats diversity and ecology through several field trips to Manu National Park, being part of the team that produced the first mammal list in 1993. Later, he collaborated with the Smithsonian Institution (1997-98) and the Field Museum of Chicago (1999-2001), producing other papers on biogeography and systematics of bats. During this time, he shared his enthusiasm for bats with younger researchers at the Natural History Museum of Universidad San Marcos, Lima. His experience includes systematic review of several genera, as well as faunal inventories at Peru, Bolivia, Ecuador, Colombia, Suriname, and Malaysia, and a collaborator of Bat Conservation programs in Peru, Ecuador, Bolivia, and Colombia. As a professor in Colombia, he has served as an adviser to undergrad and graduate researchers, as a scientific consultant in large scale projects that could affect bats, and as a member of the Programa de Conservacion de los Murciolagos de Colombia (Conservation program of Colombian bats; PCMCo).